One of the things evolution seems to have forgotten to improve in my line of the family, is the capacity of my jaws to hold all the teeth I am supposed to have. This minor slip-up on behalf on nature, coupled with a decent amount of procrastination, led to the inevitable events of today: I had to have an operation to remove two of my wisdom teeth, an experience to be repeated again in a few weeks in order to complete the salvation of my mouth. I must say, that when a dentist looks at your x-rays and tells you you should've done the operation eight years ago, then asks if you are sure you're strong enough to remove two teeth at once instead of just one at a time, that is not the best way to start an operation. Luckily for me, he was generous enough to give me enough sedation to numb out half of my face, so that as he went on sawing and breaking my teeth repeatedly (yes i said breaking, I could hear the cracking sounds), and as shards of teeth went flying in front of my eyes, and the nauseating fumes of god-knows-what burning in my mouth filled my nostrils, I felt absolutely NOTHING. And so I write this post with an icy ballon pressed up against my face, a part of which is still sedated. During the first hour after the operation, I was not allowed to open my mouth, and right now all I can utter are blabbering sounds, unintelligible to anyone around me, so I choose to not even try. When in need of anything, I write it on a piece of paper, and show it to someone who can help, and let me tell you, surprisingly enough, I find it all Blissful. There's a certain appeal to silence, especially when you're the one producing it. 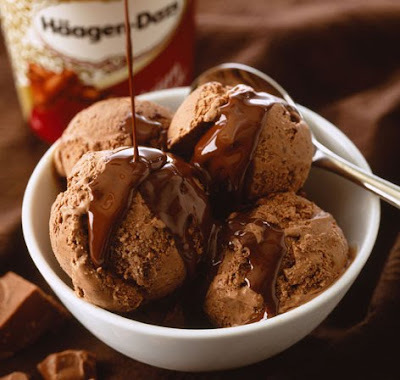 On a less sophisticated note, my doctor 'prescribed' Haagen Dazs as proper food for the following few days. I think it won't be a moment too soon when I go take out the rest of those wisdom teeth.